ARE STANDING DESKS THE ONLY OPTION? I would have to say that the vast majority of my ergonomic requests stem from employees requesting a standing desk. There’s no doubt that standing desks have become the mark of a hip office. With wellness programs at the top of the list of most large companies, these desks are often the “staple” for their employees. Considering how commonplace standing desks have become, demand is up and prices are down. One can barely flip the TV station without an ad for the Varidesk. 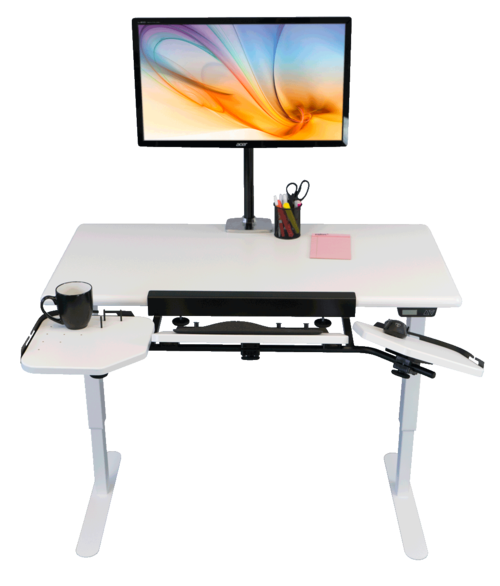 While the Varidesk is a genius idea (no installation and immediate gratification), copycats have taken it a step up and for about the same money, one can actually purchase a full height adjustable desk. While a standing desk isn’t the only option to get some movement, it is a good and now affordable way to start working healthier. For more information on how you can work smarter, call The Ergonomic Expert at 818.451.8008.